I use sticky tabs to mark the pages they need to complete if there is a workbook; and sticky notes to mark instructions on any worksheets or other assignments, I keep track in my planner and our school day runs much more smoothly. 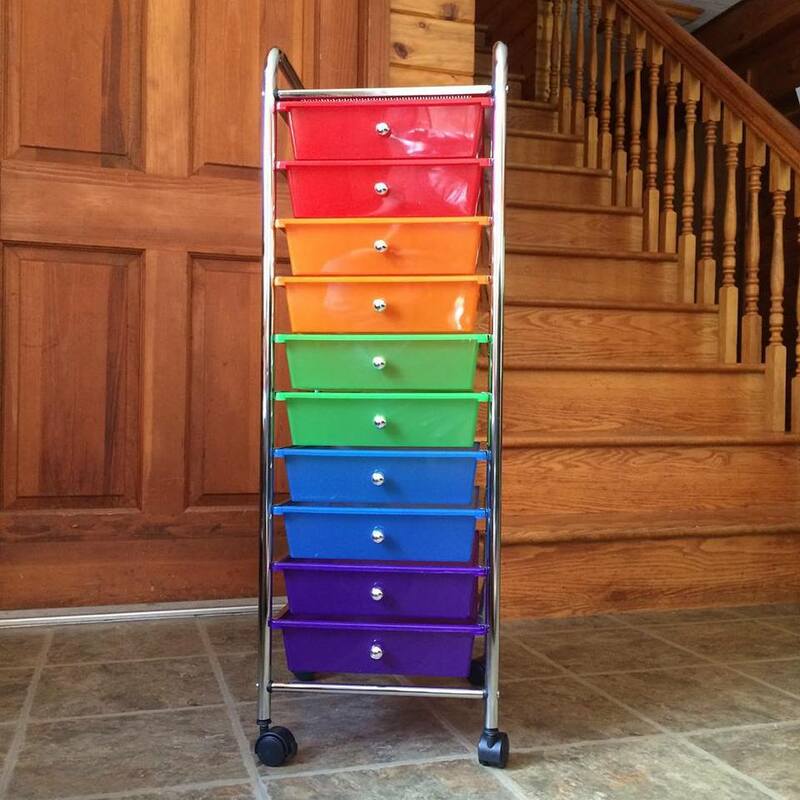 I purchased my cart from Amazon (affiliate link) if you need something to keep you organized I highly recommend a set. I have labels on the drawers so my boys know which ones are theirs, so simple!